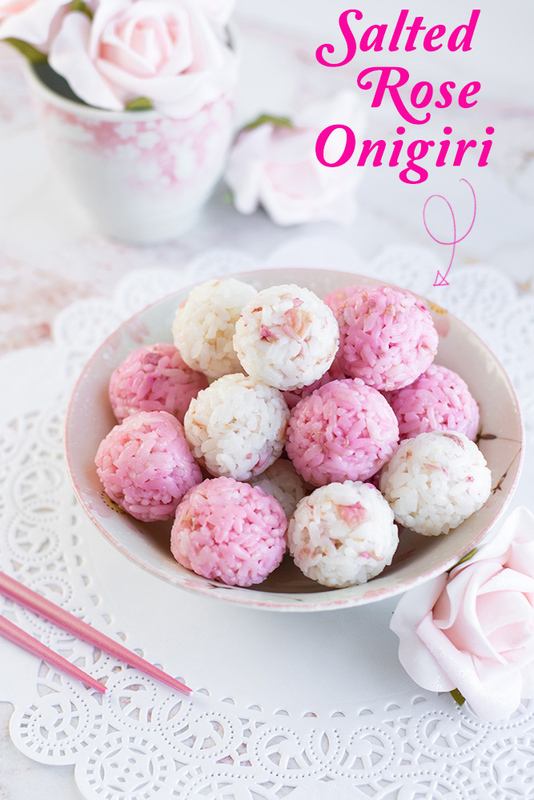 These gorgeous Salted Rose Onigiri are sheer edible elegance! Made with homemade pickled rose petals and rose salt, these rice balls are guaranteed to impress with their effortless beauty and taste. In honor of Mother’s Day, onigiri is getting an elegant, sophisticated spring makeover, and it’s all thanks to one surprising star ingredient: roses. 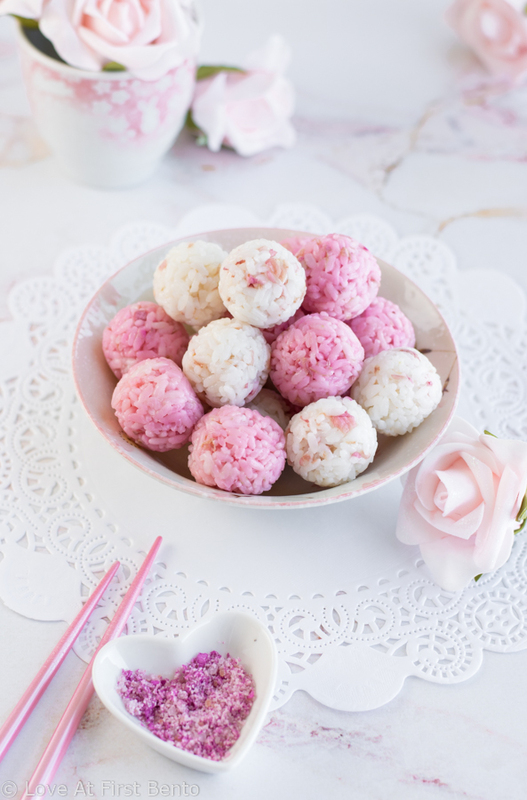 These beautifully blushing rice balls are flecked with tart yet floral pickled rose petals, and accessorized in a shower of sparkling pink rose salt – a topping capable of turning any food item into a queen. What mother (or female, for that matter) wouldn’t fall head-over-heels for these gorgeous lunchtime jewels? And the best part: they’re super easy to make! 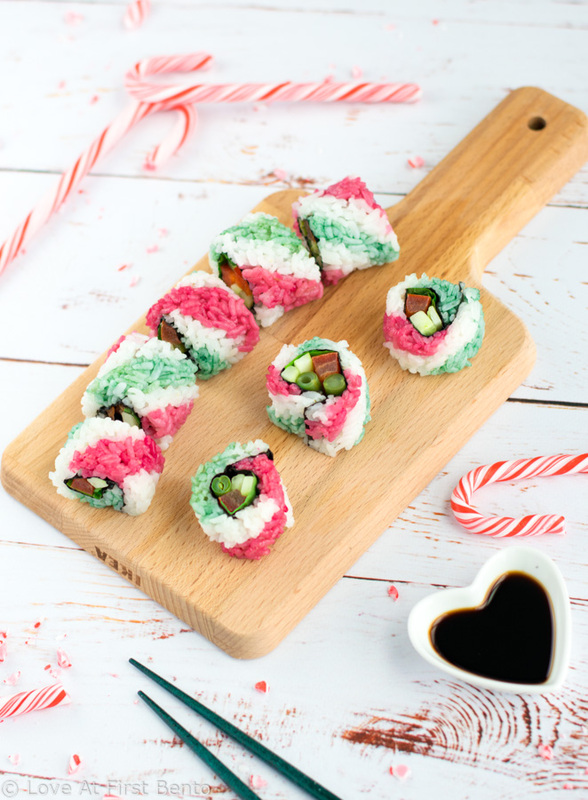 Upgrade your holiday menu plans with these Candy Cane Sushi Rolls – gorgeously festive uramaki rolls that are 100% vegan, and colored naturally with homemade dyes. 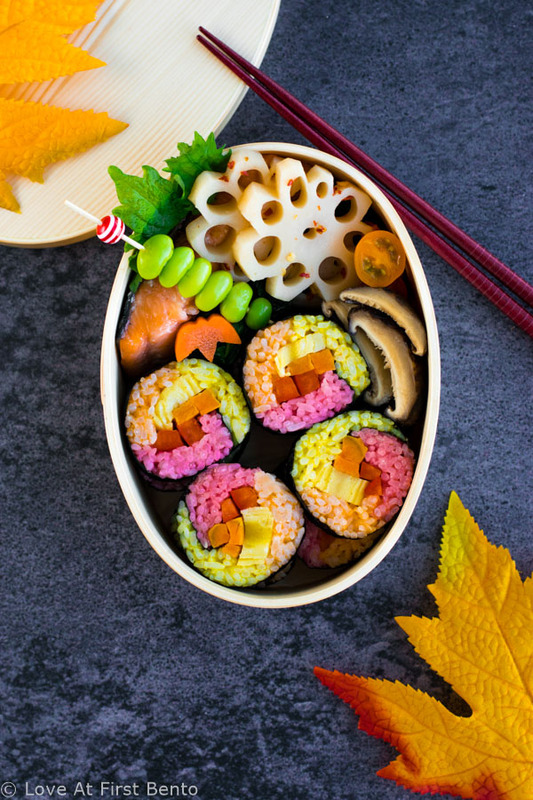 Full video tutorial + plenty of tips will have you rolling out festive Christmas sushi in no time! Confession: I am a self-diagnosed candy cane addict. My symptoms include hoarding candy cane ice cream until my freezer contains more cartons than the store, inhaling peppermint-laced desserts at an unsafe velocity, and withdrawal symptoms come January, once the stores begin the candy cane extirpation process. My addiction is also to blame for these Candy Cane Sushi: brilliantly striped uramaki (inside-out) rolls that are filled with red and green veggies, fresh mint leaves, and enough holiday festiveness to put regular old candy canes to shame. 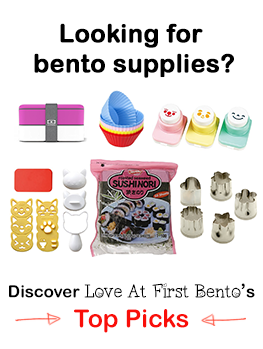 Because who says that sushi can’t be incorporated into the traditional holiday fare? 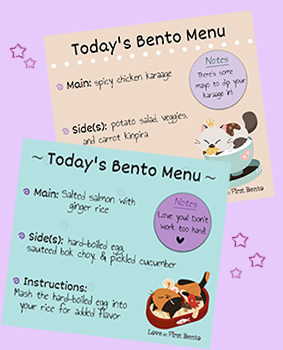 Onigiri just got a major fall makeover, thanks to the addition of pumpkin spice! A must-try for all pumpkin spice lovers. Yes, I went there. I’m not sure if the rice ball gods will forgive me, but I have gone ahead and paired rice with pumpkin spice, and it’s truly everything you’d expect of a pumpkin spice creation – warm, fulfilling, and inexplicably addicting. 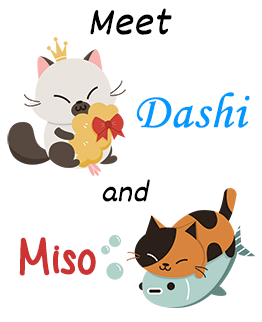 Warning in advance though: these are not your typical onigiri. They teeter flirtatiously between savory and sweet. But I have faith that you can all find it in your heart to welcome these little harbingers of delectable fall bliss into your life. 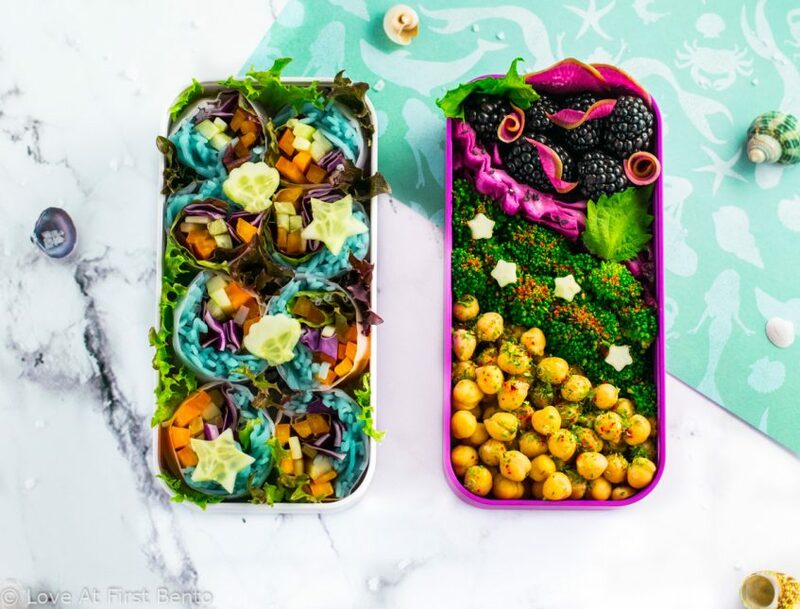 Make your next bento a deep-sea adventure by adding these mesmerizing mermaid salad rolls. Warning: Eating these mermaid salad rolls might just turn you into a mermaid. Okay, that may be stretching the truth just a teensy bit; but, I can at least guarantee that you’ll feel like a mermaid after eating them. 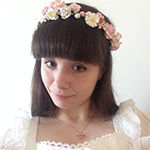 Who doesn’t want to feel like a beautiful mythical creature come lunchtime? 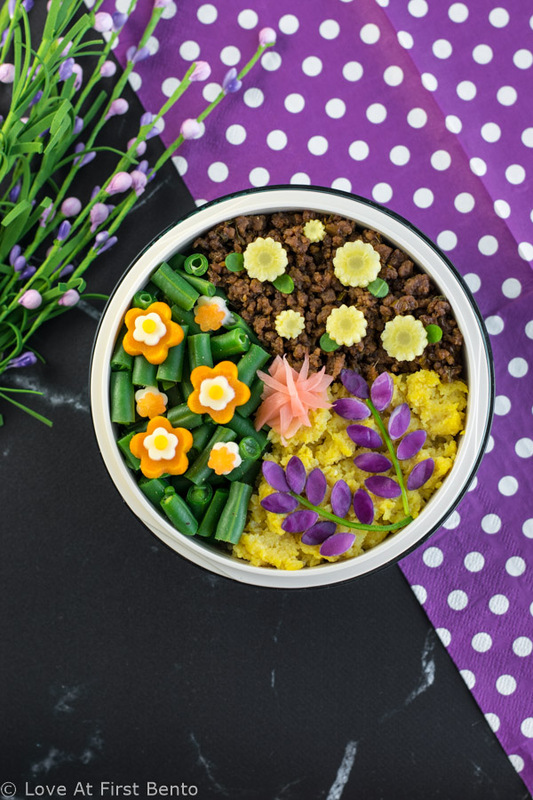 Unleash the flower power with this beautiful flower garden soboro bento box. 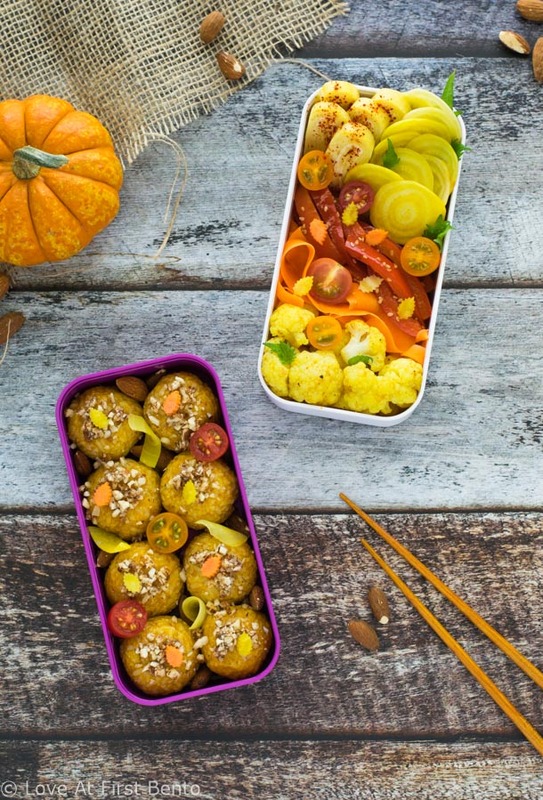 Learn how you can easily transform this classic bento into an edible work of art. Have you ever grown your own plants before? I can’t say I have a lot of experience with this myself, but just this summer, I decided to give growing some of my own herbs a try. When I say give it a try, I mean “go to the grocery store and buy their pre-potted herbs” kind of try. That still counts though, right? I ended up with a parsley plant, as well as a cute little shiso and mizuna plant I found at my local Japanese store. In the beginning, I was quite diligent with my watering duties, and even used some of the parsley in an omelette (such a proud plant-mama moment). Fast forward a few weeks, however, and my parsley and mizuna plants had, quite literally, dropped dead. Needless to say, I am now tagged in every meme about killing plants on Facebook.